One of the easiest ways to free up time during the holiday season is to have an arsenal of frozen meals already prepared and tucked away in the freezer. The holidays aren’t just about the big meal. They’re about all the meals in between, too! Meals needed on school concert nights, when you have extra guests or on nights you would just like to relax with the family and play a board game. Spend a day or two cooking and freezing this week or make double batches of dinner this week (one for eating and one for freezing) and you’ll save yourself wondering “what’s for dinner” during the busy weeks of the holiday season. So many meals freeze really well. Everything from from marinated raw and cooked meats to cooked beans and whole grains. You can freeze baked bread, cookies and cakes, as well as uncooked pastry and cookie doughs. Broth, soup, chili, stews, and casseroles also freeze well. To freeze meals, pour hot foods with a liquid base, such soup or broth, into a metal pot or bowl and set in an ice bath. An ice bath is a larger bowl partially filled with ice and water that you nestle a smaller bowl with hot items into. and ice bath will quickly chill the food, keeping it safe for consumption. After the food is chilled, transfer to a freezer-safe container or zip-top bag. Remove as much air as possible and seal well. I like to freeze food with a liquid base in zip-top bags frozen flat so they can be stacked in the freezer. When making large batches of soup that I may add gluten free noodles or dumplings to, I skip adding the noodles before freezing. Later, after thawing and heating the soup through, add the gluten free noodles and cook until they are tender. This keeps noodles from being over cooked in soup during the freezing process. Nobody likes a mushy noodle! Arrange smaller portions of solid cooked foods, such as meatballs, in a single layer on a cookie sheet and put in the freezer until frozen. The frozen items can them be sealed in a freezer-safe zip-top bag, pressing out air before closing. Freezing these items loose means you can take out as many or as few as you may need on a giving night. Chill casseroles in the refrigerator and, if keeping whole, seal with a double layer of heavy-duty foil before freezing. If saving as individual portions, cut the casserole into portions and freeze following the cookie sheet technique above. Frozen foods can be very hard to identify. Everything looks the same after awhile, and you won’t remember what you saved, so don’t forget to use a permanent marker to label and date everything you freeze. Most foods can keep for quite some time in the freezer, but their quality begins to deteriorate after about three months. I also like to add heating or cooking instructions right to the package. This saves me from having to look up my recipe to finish a meal when I am in a hurry. The safest and easiest ways to thaw frozen foods are overnight in the refrigerator. Allow roughly five hours per pound, or by defrosting right before cooking in the microwave. In general, thaw raw frozen food before cooking. Most cooked dishes can be reheated from their frozen state, making sure they’re heated completely through before serving. Another way I like to freeze meals are in individual portions with a side of frozen vegetables for those nights when everyone’s schedules may be a bit different and people need to eat at different times. For these meals, I portion the main dish into individual containers and tuck in a serving of frozen vegetables if needed to round out the meal. Seal and label before freezing. Some items that do not freeze well are raw potatoes, lettuce salads, raw vegetables (cook or blanch before freezing) and meringue based frostings. 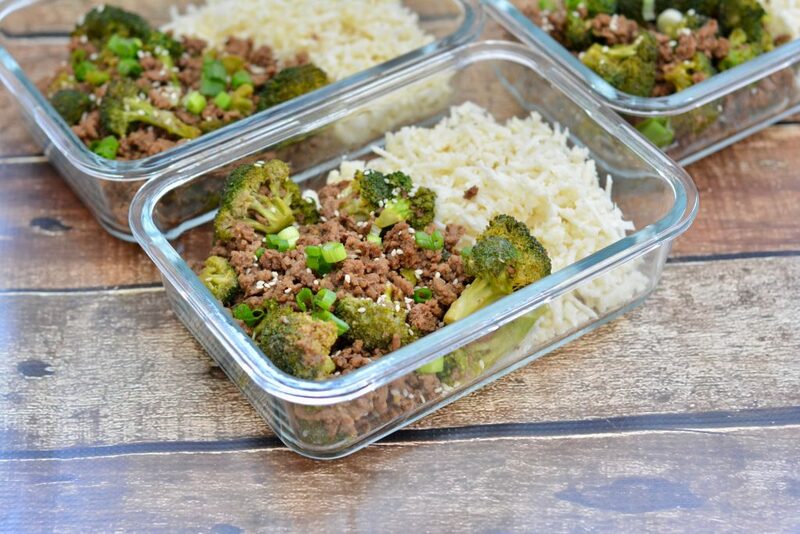 Get started with freezer meals with these tried and true options that are family-friendly and tasty. 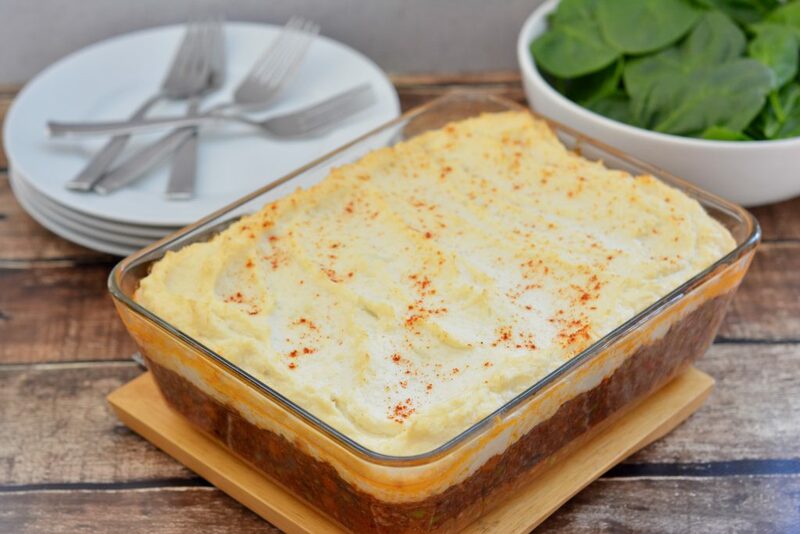 This meal combines rich gravy with ground beef and vegetables updated with a topping of cauliflower puree. The ultimate comfort food for the cold winter! Get the recipe. 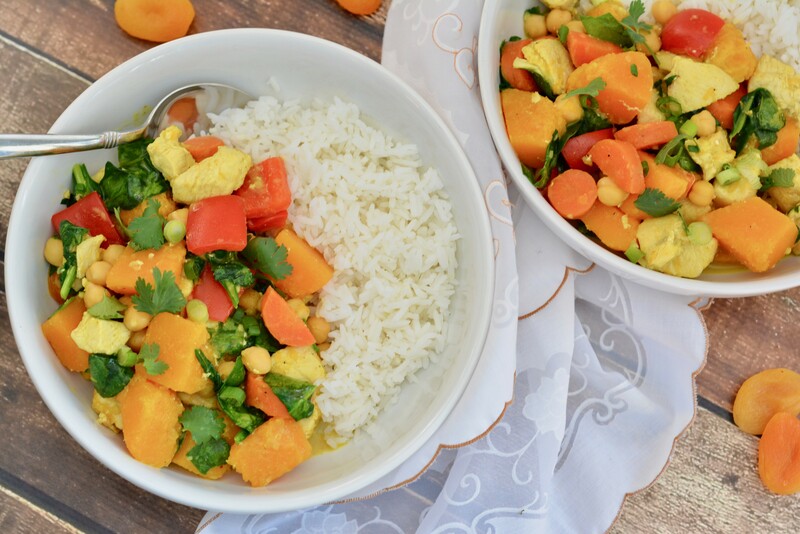 Butternut Squash Chicken Curry with coconut milk and chickpeas is a protein-packed, warming meal and can easily be made vegetarian with a few tweaks. Get the recipe. This meal provides a quick, budget-friendly take on a take out favorite. I like to serve it with riced cauliflower for an extra serving of veggies. Get the recipe. The meals below you will find in constant rotation in my freezer. My family loves them and they freeze beautifully. Follow Angela’s cooking adventures at angelaskitchecooking.com. Angela has had vast experience cooking dairy free (since 1994) and gluten free (since 2001) for her family and herself. 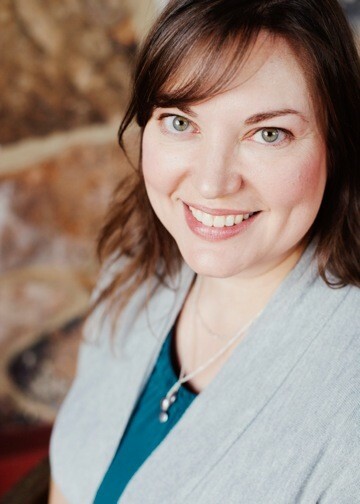 An expert in gluten and dairy free recipe development and living, Angela teaches gluten and dairy-free cooking classes, written cookbooks, contributes articles and recipes to numerous publications and speaks for local and national organizations about gluten and dairy-free options along with implementing staff training and education on celiac and the gluten free diet.